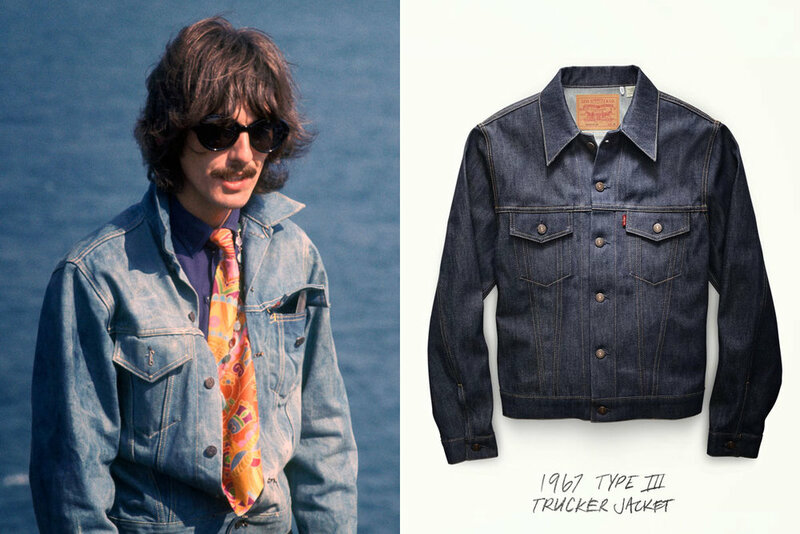 Levi's Vintage Clothing is not just apparel, but a collection of historical artifacts that celebrate the last 142 years of Levi Strauss & Co. 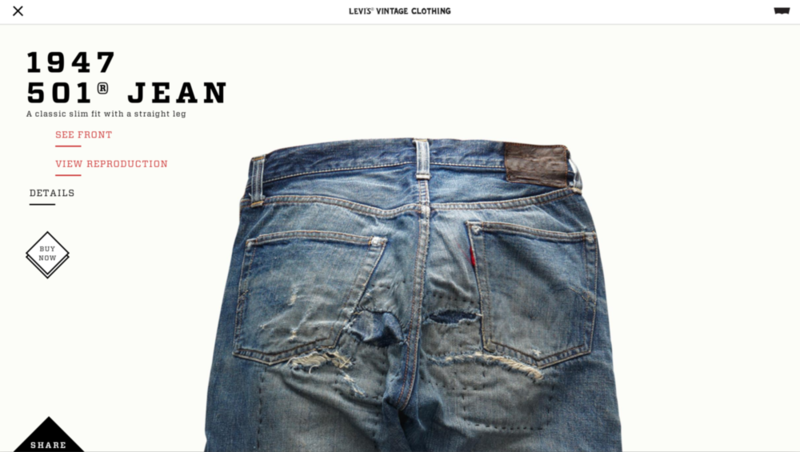 This timeline based website is stock-loaded with stunning animations that highlight Levi’s most iconic products of all time, featured as pieces of art hanging on the walls of a museum. 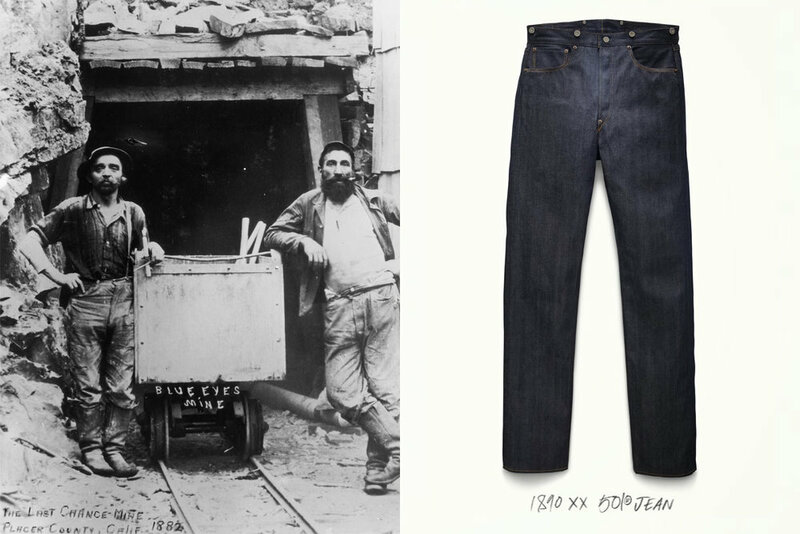 Each time period showcases how Levi's shaped culture like no other brand can claim. 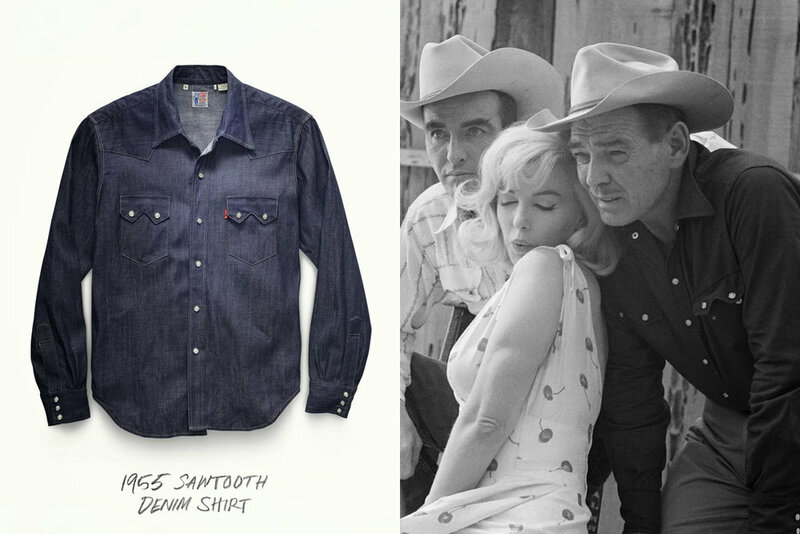 – Marlon Brando wearing the 1947 501® in the motorcycle movie “The Wild Ones" or Elvis Presley wearing the 1953 Type II trucker on stage. Many of the products are recreated from original archives dating back to the 1880s, found inside old mines, or in the walls of cabins. We photographed all the products and archives the same as the shopper might view them inside a case at a museum. This fully responsive experience is built for all devices, from mobile all the way up to physical touchscreen display. 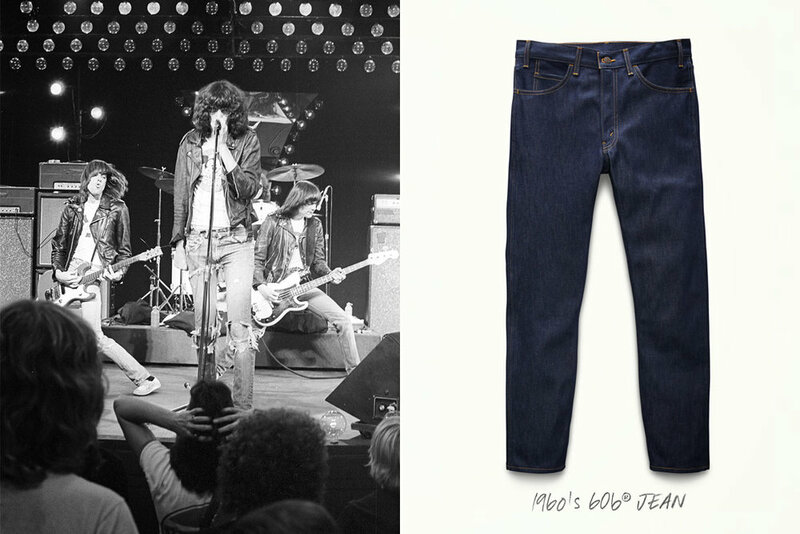 Our near future dream is to take the Levi’s Vintage Clothing website on tour as a physical museum to showcase the products in actual size and the influential stories of the people who wore them. It was important we educated our shoppers on how caring for their denim affects what sizes that they will purchase. One of LVC’s biggest problem’s was that shoppers would shrink their jeans without proper planning. So our solution was to create a fit guide that asked shoppers how they planned on washing their jeans to help determine the correct size for them to order. We incorporated the Levi.com main header into this custom site allowing for shopability across all major Levi brands. Giving LVC a unique look and style in their own site platform.